Dubai is known for life in the fast lane. During Ramadan, however, everything shifts into slow gear. Work hours are shorter and shopping malls are quieter. 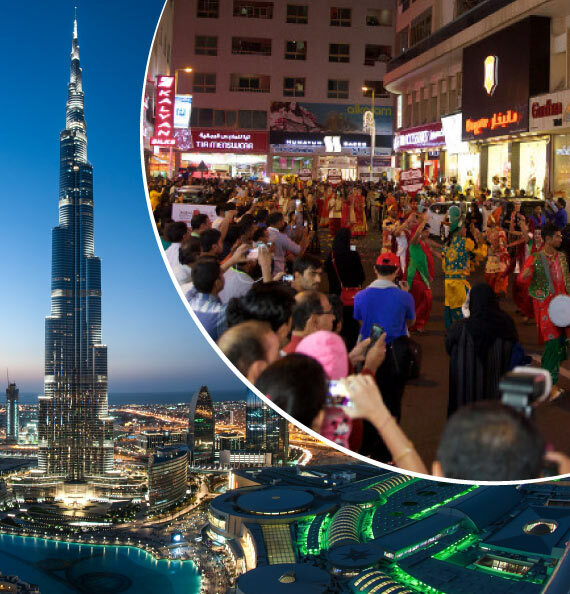 The advantage is that Dubai is ‘less touristy’ in this month. Most of the tourist attractions are open during the day and you will not have to wait in long queues. It’s easier to get tickets for landmarks like Burj Khalifa, the World’s tallest building, and fun places like Wild Wadi Waterpark. Travelling to Dubai on a budget has never been easier! 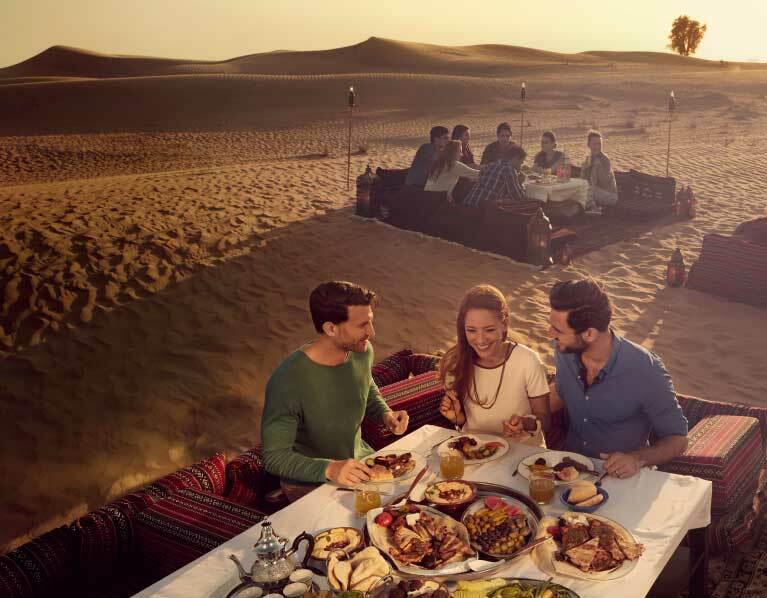 With hotels providing fabulous Ramadan deals and discounts, you can save more while holidaying in Dubai. Above package is based on airfare of ₹16,000 per person. Any increase in the airfare to be paid extra. Tourists are advised to respect the dress code during the holy month and wear modest clothes. For women, shoulders and knees should be covered whereas men can wear knee length shorts or trousers. During the day (sunrise to sunset), eating, drinking and smoking is strictly prohibited in public places. However, hotels do offer meals within the premises. DON't Drink outside, even if you have been jogging or exercising. The general rule is no drinking, eating, or smoking in public, regardless of whether you think anyone can see you. DO listen to music on you iPod if you wish. As long as the tunes you're playing are inaudible to others, you won't offend anyone. DON'T dance or sing in public at any time, day or night. Not that you should have many opportunities. There will be no live music gigs during Ramadan, and only background music will be allowed in bars. DON'T play very loud music at any time, whether in your car, on the beach or even at home. If it's audible to others, it may offend. DON'T swear in public. Blasphemy is frowned upon at the best of times, but during the Holy Month it's particularly insulting. Had A Trip To Dubai Through DPauls. Would recommend D Paul’s to everyone. Best Travel agents to book your Trips. Had no problem whatsoever in the entire trip.They met up to our expectations. We travel with DPauls Tour of Dubai from 4th July to 8th July 2017. Our trip is excellent, we always feel at home nice arrangements of stay in Grand Hotel Dubai Food quality and service no words to say fantastic. Our trip leader Mr. Lokesh always ready for any need, Thanks to DPauls Tour and Travels for such nice arrangements. The trip to Dubai was very nice and the manager Lokesh was very helpful, polite and cooperative. I enjoyed the trip very much.thank you Dpauls for such an amazing trip. DOWNLOAD / SIGN UP DPauls App TO GET 2000 REWARD POINTS!